Mixed-use complex The Cube has appointed a new PR agency to manage its media communications and events. Wolverhampton-based Connect PR has won the brief for the landmark building behind The Mailbox in Birmingham which was completed in 2010 and contains restaurants, office space, apartments and a Hotel Indigo. 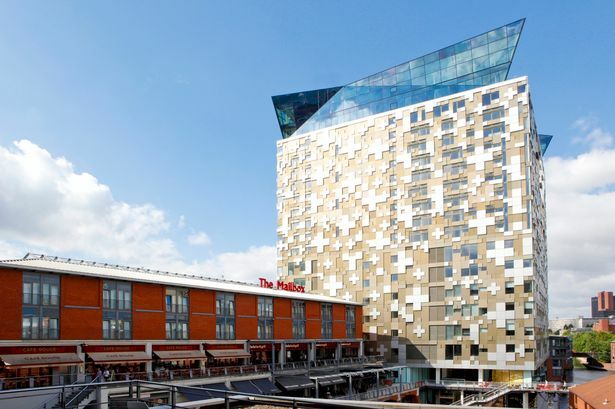 Connect PR, which takes over the campaign from city agency Ed James PR, said it would be working alongside The Cube to deliver a programme of campaigns aimed at highlighting its position in Birmingham&apos;s growing leisure economy. Managing director Hazel Crawford said: "With the opening of Harvey Nichols and John Lewis, and the launch of the redeveloped Grand Central shopping centre and New Street Station, all just a few minutes&apos; walk from The Cube, there has surely never been a more exciting time to live, work and play in Birmingham. "We are thrilled to be working with The Cube - an extraordinary building which embodies the stimulating, vibrant character of Birmingham." Derek Rossenrode from The Cube added: "Ten years ago the building was just a dream - a place for Birmingham people to live, socialise and be proud of. "Today, it meets all those expectations and delivers even more. "It is a wonderful jewel in the city&apos;s crown and we look forward to working with Connect PR to share the next chapter in The Cube&apos;s story." Connect PR&apos;s other clients include Persimmon Homes, Volkswagen UK and Higgs & Sons solicitors.